Home Business WooBamboo! Innovate. Inspire. Change the world. Earth Day (April 22nd) 2013, WooBamboo!, a local eco-friendly company specializing in biodegradable, sustainable and beautiful bamboo toothbrushes for the entire family, was born. Their world headquarters is right here in Cape Coral! WooBamboo! started because we wanted to create an innovative product that was universal, simple to use, and required little to no change of daily routine. We wanted something that would inspire people to continue to make small, eco-friendly steps in the right direction. We decided on a toothbrush. That way, every morning and every night you’d be reminded that you made a good decision for the planet, and that you have the power to make more. WooBamboo! has been turning heads, globally, with our stylish assortment of bamboo toothbrushes for you, your kids and your pets. There are over 7 billion people in the world, with over 150 million dogs and cats living in households worldwide. Every plastic toothbrush ever used still exists somewhere, in an ocean or a landfill, resulting in millions of pounds of plastic. WooBamboo! is a global answer to this problem, as bamboo is organically grown, sustainably harvested, biodegradable, anti-microbial and panda friendly. 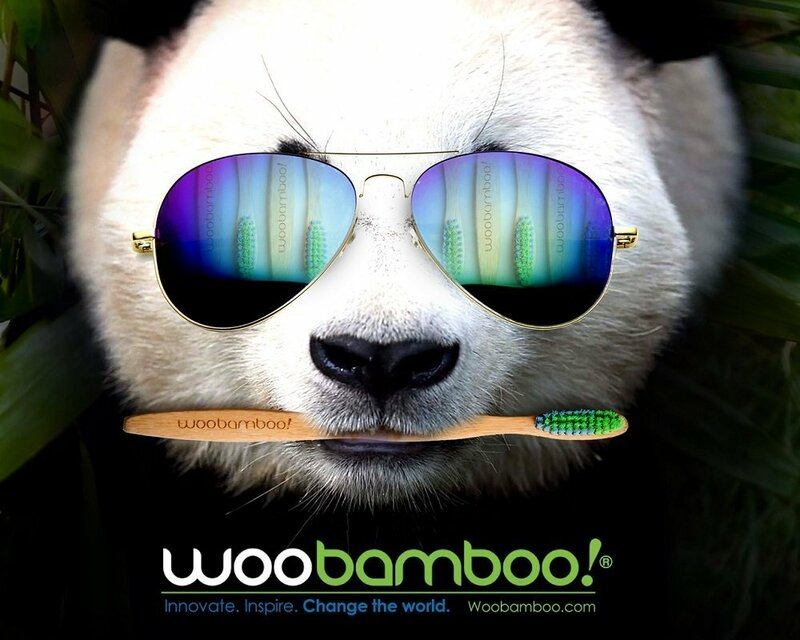 We are proud to announce that nearly 500,000 plastic toothbrushes have been replaced by using WooBamboo! Bamboo Toothbrushes and we have just scratched the surface. We have partnered with OperationBrush.org in an effort to help children of the less fortunate with their oral care. Operation Brush is a nonprofit organization that provides free biodegradable toothbrushes to underprivileged children around the world! They work with other non-profit organizations and individuals that operate in hard to reach locations to help in the distribution of toothbrushes. They help kids lead a happier, healthier life while also reducing the world’s problem with pollution. Target Corporation, HEB Grocery Company, Lucky’s and Fresh Thyme are just a few of the great chains carrying WooBamboo!’s brand, nationally. Amazon.com has been very successful in servicing on-line interest and sales. We are not only available in over 1,000 stores worldwide, but we can be found supporting Southwest Florida’s local stores such as Ada’s, Earth Origins, Mother Earth, Puddle Jumpers, Captiva Island Store, EcoBaby & Home, Rollin’ Oats, and Nature’s Garden. At WooBamboo!, we cherish our community and the environment. We are working toward providing a cleaner quality of life for our children and generations to come, on a global scale. Here at home, we are doing this on a local level, as well, by becoming a part of Lee County’s Adopt-A-Road program. We are showing community pride in helping to keep Lee County litter-free by cleaning a two-mile stretch of Del Prado South every other month! To learn more about WooBamboo! sustainable toothbrushes visit their website. Previous articleLee County Coalition for a Drug-Free Southwest Florida. Where can these be purchased in Rhode Island or online?